Our dream of easy 3D capture was driven by the increased richness of the digital worlds we saw around us. Open-world video games, 3D training simulations, and other interactive 3D content offered amazing immersive experiences, but we knew that the budgets for creating those 3D worlds often ran into the millions of dollars. This is because every single object in these worlds had to be made by hand by an expert using an arcane and difficult 3D modeling program. In a way, it was like the old days of painting before the invention of the camera. If we could create a system that anyone could use to capture real places in 3D, we could break down the barrier between the physical and digital worlds, and enable all of the richness of amazing places around the world to be experienced online. We knew that this would be the sort of fundamental technology that would change a wide range of industries — anyone who worked with, arranged, managed, decorated, remodeled, bought, sold, thought about, or was just curious about, any physical space could make use of this. It was a technically difficult problem, and we spent over two years in pure R&D mode before being ready to launch. Around the time we shipped our first cameras, Oculus, a then-unknown startup, introduced the DK1, a laptop-tethered virtual reality headset that, even in its original crude form, was far better than anything we had seen. For the first time, there was a believable path by which millions of VR headsets would make it into consumers’ hands. We got an Oculus devkit shortly after it was first available, and although we were busy with our own launch, we made sure to dedicate some time to bringing the Matterport experience to VR. It was a wonderful (and unexpected) fit — we had worked really hard to create the perfect device for capturing the real world in 3D, and they had built the perfect device for viewing digital worlds in 3D. Together, these two tools created a virtual teleporter, enabling people to be instantly transported to anywhere in the world. One of our earliest demos was a 3D model of Wire Pass Canyon, an otherworldly rock formation I had captured on a recent vacation. 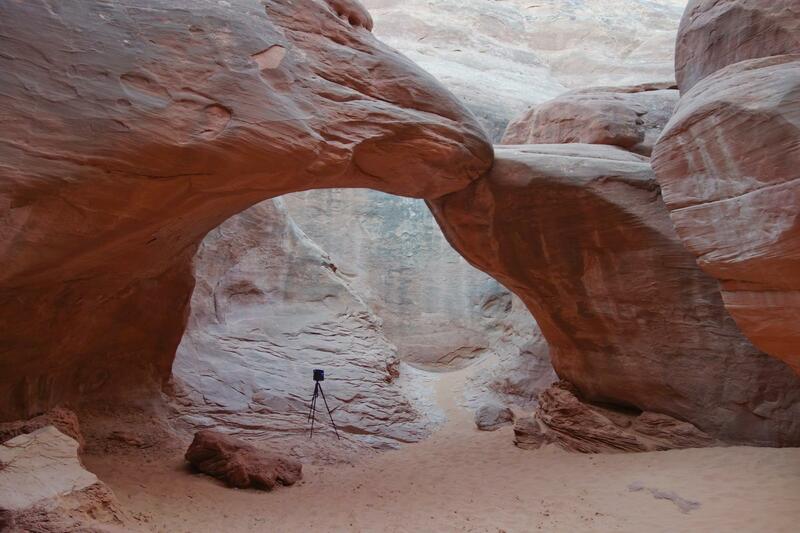 This became our standard demo, and we got to watch customers, interviewees, and tradeshow attendees delight as we transported them from a sterile office environment to a remote canyon in the middle of the Utah desert. Then, about a year after the DK1, Samsung and Oculus announced the Gear VR, a set of goggles that turned a cellphone into a VR headset. It was brilliant; by using a cellphone as the display and computation for a VR headset, they had accomplished the simultaneous feats of making VR both mobile and very inexpensive. While we loved what was possible with high-end tethered experiences like the HTC Vive, we knew that smartphone-based headsets would open the door to the mass market. That’s when we assembled a dedicated group to pursue virtual reality apps and content optimization for VR. We launched a VR beta program in June 2015 with a team of three. At the time, we had a small group of artists adapt each Matterport space for viewing in VR. While the results were stunning, the process was manual and time consuming. We knew we needed to scale this VR creation ability, and scaling means automation. (Ironically, the fact we were dissatisfied with a process that took a few hours per model shows just how far we’ve come. Prior to Matterport, 3D-reconstructing any of these spaces from scratch would have taken weeks!) Still, we had great initial adoption and some early successes, like the Suite Life collaboration with the Associated Press. I’ve loved seeing people’s in-person response to VR. At tradeshows and conferences, I’ve personally watched thousands of people - young and old, female and male, technical and not - be wowed by the experience of being transported to a distant place in VR for the first time. We knew that, like with our core product, the key to Matterport’s success in VR would be end-to-end automation of the conversion and delivery process. It wasn’t enough to have engaging experiences. They needed to be easy -- easy to make and easy to get. We set about developing a set of vision and path planning algorithms that would automate our conversion process. We watched anxiously as the GearVR and Google Cardboard made their way into the market, hoping adoption would pick up. What we saw amazed us: over 6 million mobile VR headsets are now in market, including 1 million Gear VRs. It’s likely going to get even better next year. Smartphone vendors are probably working to optimize next-generation phones for VR, improving resolution and framerate, and introducing low-latency motion tracking via high end IMUs to ensure quality VR experiences with little or no discomfort. At this point, we’ve seen over 75 million views of our customers’ 250,000+ 3D spaces to date. Over 1% of homes sold in the US this year have been captured in 3D with our technology. As we continue our exponential growth in 3D content creation, we want all of that content enabled in VR. We want the deep immersion of VR to be an everyday experience in the same way that communicating with someone halfway around the world via a device in our pockets is now an everyday experience. Matterport is founded on the idea that 3D capture is the natural next step beyond video and photography, encoding the entire space as opposed to just one view of it, and allowing us to manipulate and enhance our world in new ways. Before Matterport, reconstructing reality in 3D was slow and difficult. 3D modeling software was expensive and took years to master. Any given space took weeks and thousands of dollars to reproduce digitally. 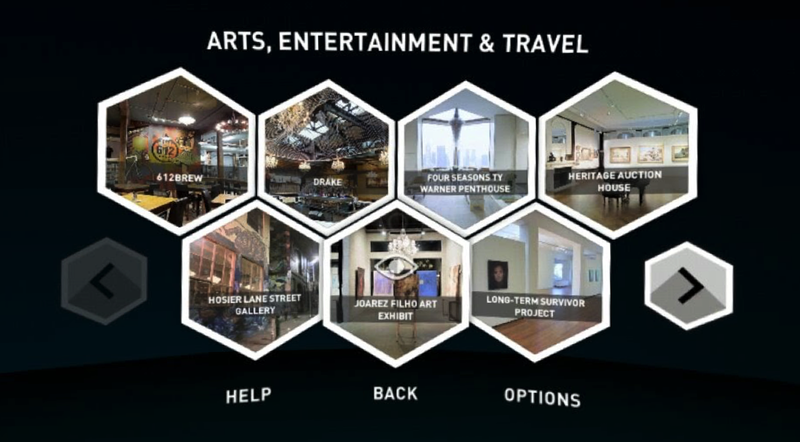 Matterport changed that by making 3D easy and accessible for all sorts of businesses, and even some consumers. We are taking the same approach to VR. The press has been talking constantly about the “VR content creation problem” - how VR content is difficult to create, and how there isn’t enough content out there yet. So we made a call. Having spent several months building an automated system for turning Matterport 3D content into VR content, we’ve decided to give this service away for free until 2017, which amounts to $5+million in value. This has instantly created by far the world’s largest collection of real spaces in VR. 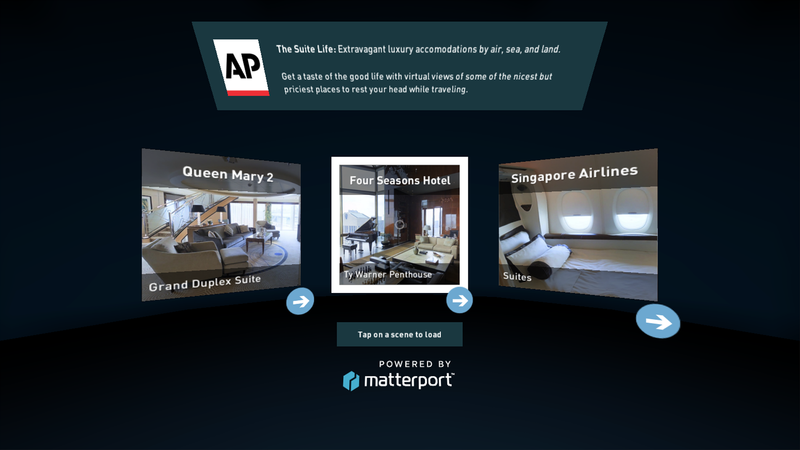 We’ve taken 150 of our favorite spaces and put them into a collection on the Matterport VR app [Gear VR] [Cardboard]. These are special places from dozens of countries across all seven continents, almost all of which have been captured by our customers. I haven’t had a lot of time to travel lately, but it’s been wonderful to hop from place to place in VR, visiting world-class landmarks thousands of miles apart in quick succession. 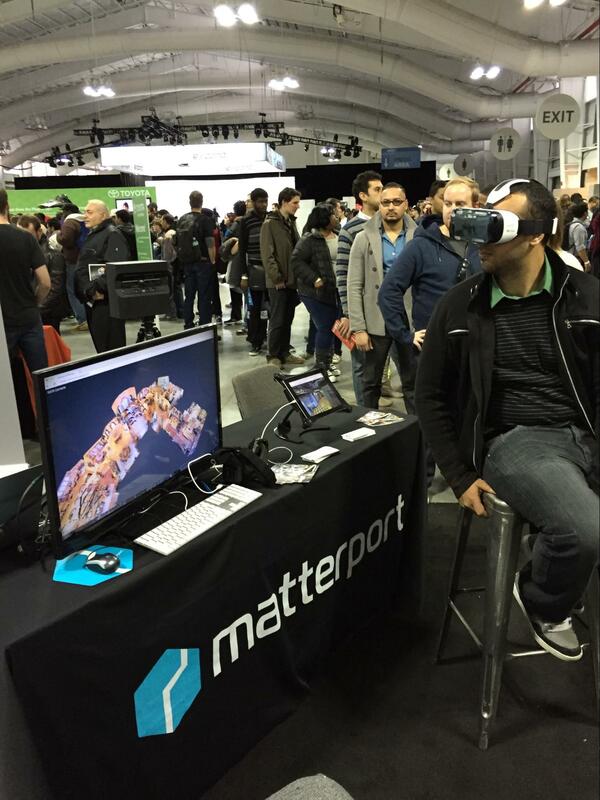 You’ll find the rest of the 250,000+ spaces in VR everywhere you find Matterport. We’ve directly integrated VR into our core product, allowing you to tap a button on the corner of our 3D Showcase to jump into VR and immerse yourself directly in the space. 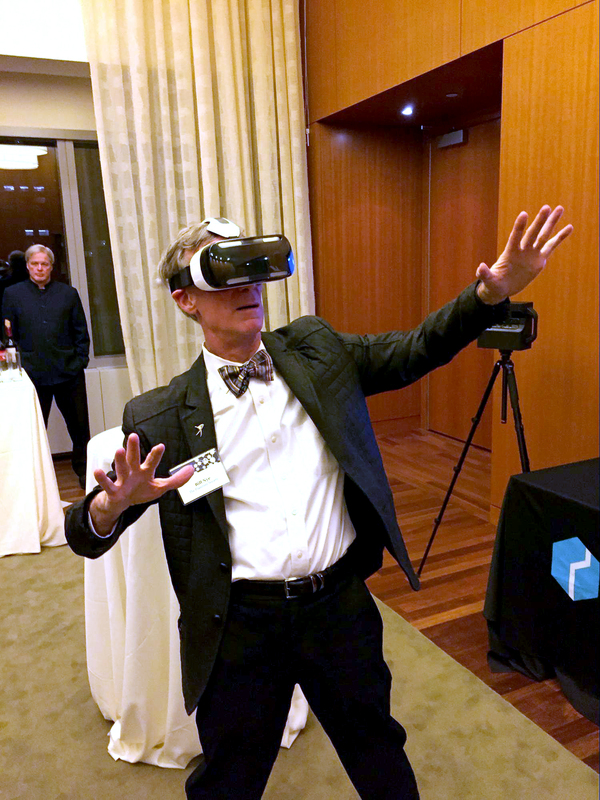 Finally, we’re opening up a beta version of the Matterport VR SDK, which enables 3rd parties developing their own VR apps to directly integrate Matterport Spaces into these apps. Ultimately, more and more of our professional, social, and leisure lives will be lived in virtual reality in one form or another. Consequently, getting the real world into VR is as important now as getting the world of printed material online was in the ‘90s. Remote presence - the ability to be anywhere at anytime - is going to feel as essential and natural as searching on Google for a bit of information. We are building the Google for the physical world, and that will open up a wondrous range of possibilities!